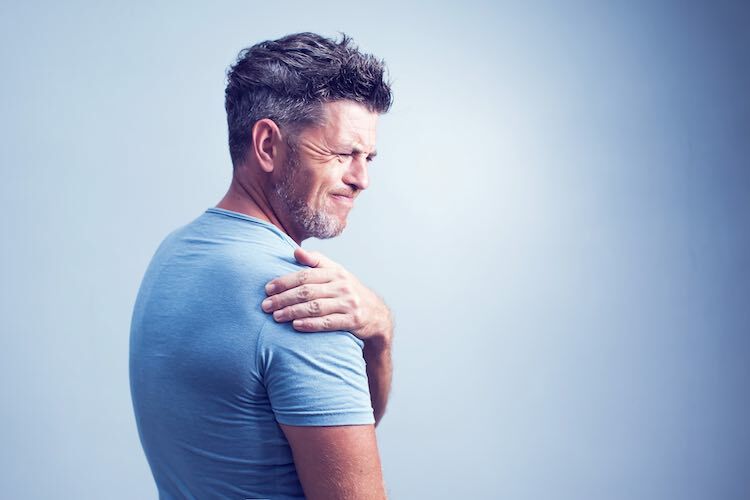 Pain in the shoulder can have a number of causes - among them are rotator cuff injuries (a strain or tear in the muscles that help the shoulder move), frozen shoulder (pain and stiffness in the shoulder joint) and something called shoulder impingement syndrome, where tendons in the shoulder are trapped during movement. If you’re diagnosed with that last one, shoulder impingement syndrome, it might be recommended that you undergo a procedure called arthroscopic subacromial decompression. It’s a keyhole operation where bone and tissue from the shoulder are shaved away, with the idea that it will give the tendons more room to move freely within the shoulder joint. The trouble is, the effectiveness of this procedure has been called into question - and a new study recently published in the British Medical Journal adds further doubt. In the study, patients were randomised into three groups - 59 received arthroscopic subacromial decompression, the surgery in question, while another 63 received a “diagnostic arthroscopy” - effectively, a sham surgery. The third group of 71 patients received exercise therapy. The researchers didn’t know which each patient belonged to. All were then followed up over a two-year period to see if the surgery improved how they felt and whether they were satisfied with the treatment. Both surgery groups - the arthroscopic subacromial decompression and the placebo group - saw improvement in their shoulder pain symptoms, but there weren’t significant differences between those groups. The people who got the sham treatment felt they improved as much of those who received the true surgery. However, when the researchers compared those who got the arthroscopic subacromial decompression to those who did exercise therapy, they did find that the surgery patients fared a little bit better - though not enough that they considered it to be of clinical significance. In this research, and in other papers, arthroscopic subacromial decompression isn’t supported as a treatment for shoulder impingement syndrome. So ask your doctor about alternatives if you’ve got shoulder pain and are recommended that path of treatment. Paavola, et al. (2018). Subacromial decompression versus diagnostic arthroscopy for shoulder impingement: randomised, placebo surgery controlled clinical trial. BMJ doi: 10.1136/bmj.k2860. The shoulder joint is surrounded by a fluid-filled capsule that holds fluid within the joint space.